Think back to your childhood. Did you feed the ducks? Do you remember the excitement of the event? Were you scared of the ducks? Do you perhaps still feed the ducks? When I was growing up, we were fortunate to live within walking distance of a very nice park, Kennedy Park. This park had a "petting zoo." It cost a bit to get into the petting zoo, but it was great. All of the animals were small, perfect size for little kids to touch. There were goats, sheep, and many baby animals. There weren't any ducks, but we were able to feed all of the petting zoo animals simply by purchasing a bag of food. The photo below was taken at San Francisco Zoo when my daughter was small. This is what I remember best, my daughter learning/feeding goats! My mother loved going on picnics. I remember going to Lake Merritt in Oakland for a picnic or two. Of course, because there was a lake there, ducks were also there. I am sure we fed the ducks bits of our sandwiches, or at least tossed them bits of bread. Although I do not specifically remember feeding ducks, I do have strong memories of "feeding a goat" but not on our terms. 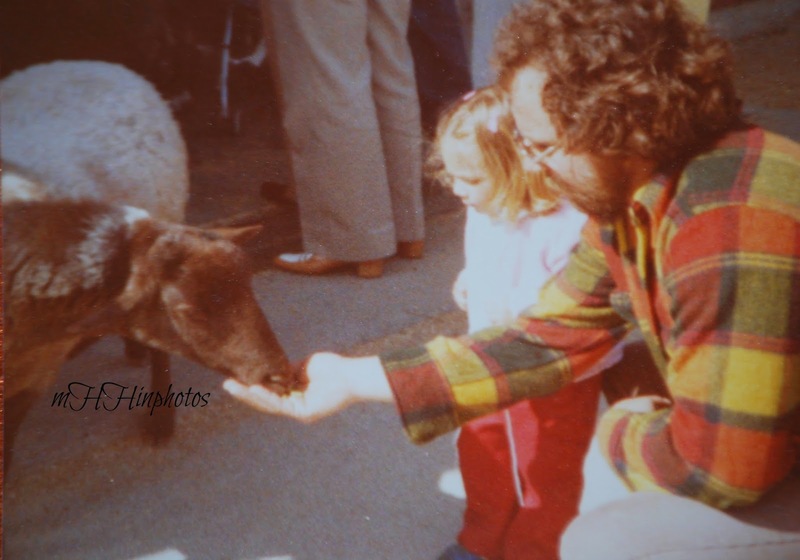 It was when we were at the San Francisco Zoo in 1981, the same time as in the photo above. 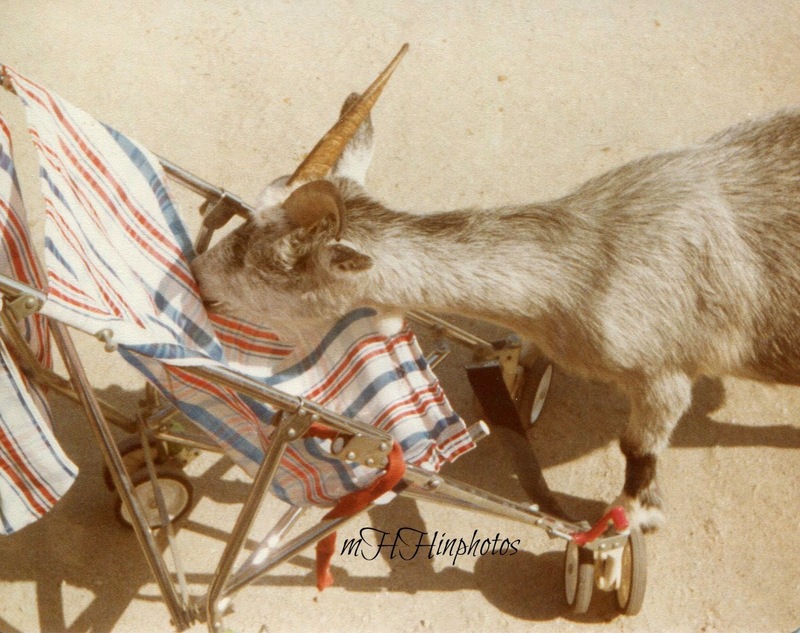 This goat decided to help himself and eat my daughter's stroller!